When I say shepherd’s pie and you say cottage pie we all have the same dish in mind – deliciously flavoured minced meat bubbling under a blanket of buttery mash. This simple homely comfort is a favourite of Pat Wethmar’s granddaughters Melissa and Sarah Jane. These eager students jumped at the chance to cook with guest chef Anja Bands in the Chalmar Farm Kitchen, updating the traditional family version with sweet potato. Heat oil in a large saucepan over medium heat, sauté the onions and carrots, stirring,until the onion is soft, 4-5 minutes. Add the mince and garlic, cook stirring with a wooden spoon to break up the mince, until browned. Add the tomato and sugar. Season with salt and pepper to taste. If you’re fond of Worcestershire sauce, now’s a good idea to add around 10 mℓ. Simmer over low heat till cooked, 20-25 minutes. Tip: If it is too juicy, mix 15 mℓ corn flour with 30 mℓ water, stir the paste through the meat and simmer till thickened. Spoon the beef mixture into an ovenproof dish or individual dishes, top with the sweet potato mash. Dot with butter. Bake for 15-20 minutes until golden. While it bakes prepare the sweet potato shavings. Heat the oil to 130°C and fry the shavings until crisp and golden brown. Transfer to a paper towel and drain. Dust with the paprika and scatter over the pie just before serving. 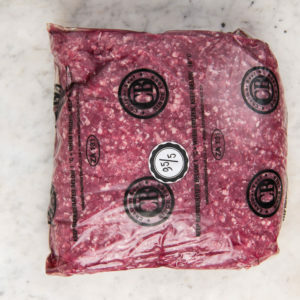 Chalmar’s mince options vary in fat content. 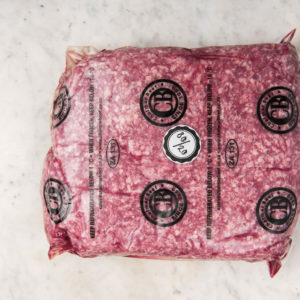 90/10 mince refers to 90% meat and 10% fat (ideal for shepherd’s pie). For a leaner option, opt for 95/5 Mince with 5% fat. 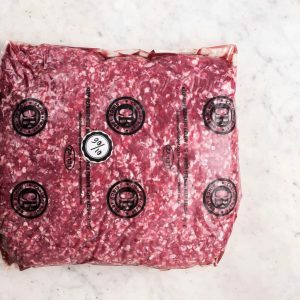 Kee the 80/20 in the freezer for hamburger day! Vary the vegetables for the mash, from carrot, parsnip and turnip to pumpkin or butternut. Sprinkle breadcrumbs or grated cheese over the mash, then bake. If you have star anise in your spice rack, now’s the chance to use it as it deepens the meaty flavour of mince. Also use it to add richness to the bolognaise sauce.